Please: Moscow, Russia. 4+4 hours Two Days non-stop Dive into the heart of Budo Karate. Status: Open course for all peoples all grades all stiles who have interests for this Way. Note! For outlander sitizen to need Entry Visa in Russian Federation. Teacher: Shihan Dormenko Andrey 8 Dan ISKF, vice Champion of the World ISKF Championship 2016 in Cape Town, 5th Time European Champions JKA-IJKA, the Top Master in Asai Karate stile, superior Rang in IJKA Asai Karate, Hihgest Dan International ISKF Instructor and exsaminer in Europe, ong time the direct and near student (uchi deshi) of Master Asai Tetsuhiko 10 Dan, student of Master Okazaki Teruyuki 10 Dan, student of Master Kase Taiji 9 Dan. Kata Shotokan and Bunkai Kata. 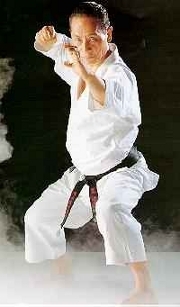 Bunkai kata and kumite application of kata. Dan Grading 1 - 2 - 3 - 4 - 5 Dan Test ISKF, Kyu Graiding (3-2-1). 6 November 2017 // Kata and Kumite individual, adults, seniors//. Welcome in World of Budo Shotokan ISKF KARATE and Asai karate. Please: Moscow, Russia. 3 hours non-stop. Status: Open course for all peoples who have interests for this Way. Teacher: Shihan Dormenko Andrey 7 Dan IJKA, the Top Master in Asai Karate stile, superior Rang in IJKA Asai Karate, Long time the direct and near student (uchi deshi) of Master Asai Tetsuhiko 10 Dan. Dan Grading 1 - 2 - 3 Dan IJKA, Kyu Graiding (3-2-1). Welcome in World of Asai karate. Please: Moscow, Russia 23 May 2012、 o'clock 19/00 - 21/00 p.m.
Dan Grading 1 - 2 Dan IJKA, Kyu Graiding. 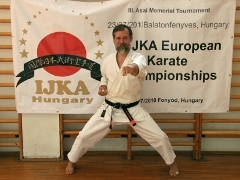 Shihan Dormenko Andrey, 7 Dan IJKA, 5 Time of European Champion JKA-IJKA. chairman & chief-instructor non-profit All-Russian organization “National Federation of traditional Shotokan Karatedo of Russia” Authorization and recognize of Russian Federation Government. Dormenko Shihan did long time the training as personalization student of chief-instructor IJKA Master Asai Tetsuhiko 10 Dan. He have the one from highest qualification in IJKA and was one person from non-Japanese peoples who was graduation from Asai sensei as the “Shihan” . Stage program: Kata “SENKA”. Kata “RAKUYHO”. Kumite and techniques of Asai Karate. What are Application and Bunkai in Kata. Why it is different understanding. Dan Grading 1 - 2 Dan IJKA. 3,5 hours non-stop One Day Authentic Asai Karate Style with Top IJKA official INTERNATIONAL INSTRUCTOR. Note: For the traveling in Russian Federation all foreigner peoples need of Entry Visa in Russian Embassy in Your country. Please don’t forget about it. The Entry Visa to make minimum 3 Days.